Flipkart Big Billion Days Sale has started and as always, Flipkart is raining great offers. Now Flipkart has also introduced Mobile Recharges on its platform and hence offering great offers on it as well. In this sale period, do Prepaid Mobile Recharge of Rs 300 or More and get flat Rs 150 Off i.e., Instant Discount. Just pay using Debit or Credit Card to avail this amazing offer. Let’s grab this offer. 2. Login or Signup to your Flipkart Account. 3. Once you are on Dashboard, click on Menu and Select Recharges. 4. 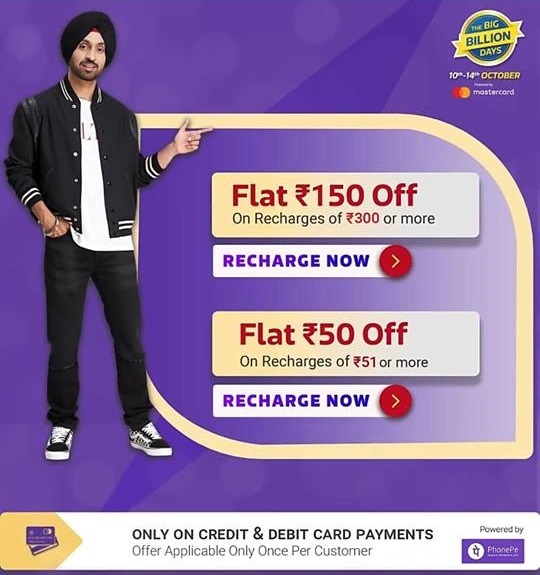 You will see the Flipkart BBD Mobile Recharge Offer Banner, just click on it. 6. Make the payment through Debit or Credit Card to get instant discount of Rs 150. 7. That’s it. Enjoy Rs 300 or above recharge at flat Rs 150 Off. Flat ₹150 instant discount on spending a minimum of ₹300 via credit card/debit card. Offer valid on prepaid mobile recharges only. Offer applicable for both new and repeat user. Offer applicable for first 1,00,000 customers. Offer is applicable on payments through credit card, debit card, credit card+wallet, debit card+wallet. Instant discount is applicable only if a minimum of ₹300 is to be paid through credit card/debit card. From 21:00 hrs 09th October 2018 to 23:59 hrs 14th October 2018. 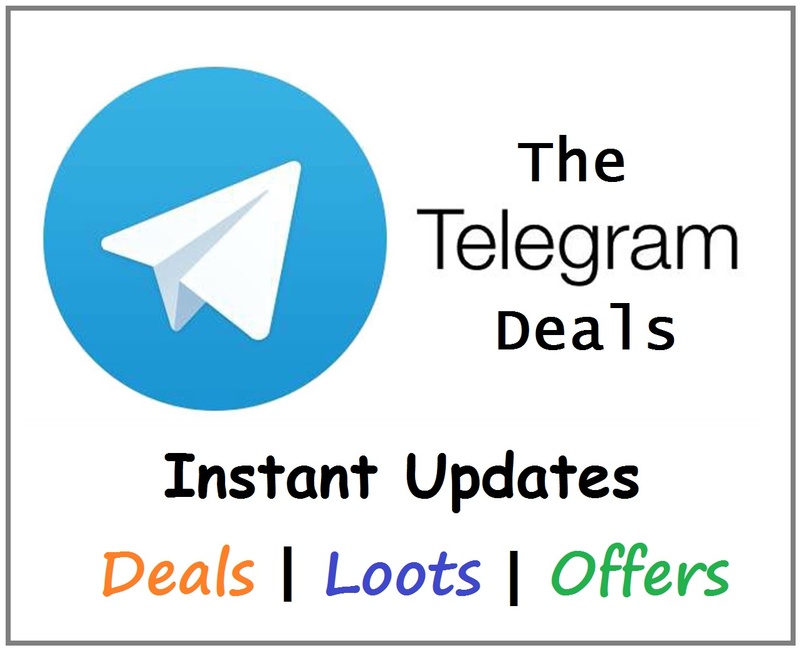 Offer can be availed only once per user in the offer window. Offer can be availed only once per card in the offer window. Offer can be availed only once per device in the offer window. Only one recharge offer can be availed during the big billion day sale. Instant discount of ₹150 will be applicable while executing the transaction if amount to be paid from credit card/ debit card is ₹300 or above. Amount deducted will be credited to the payment source.